In a new Rolling Stone interview, actress Maisie Williams had nothing but fond words for Game of Thrones. She talks about the final season of the forthcoming show, as well as her bond with co-star Sophie Turner. But one thing she wasn’t particular happy about is the fate of her latest film, Fox’s The New Mutants. The horror-themed comic adaptation has been in the works for the longest time, but has run into many snags during production. And even with a current late summer release date, there’s a chance it could see another delay thanks to the Disney/Fox merger. Williams, who plays Wolfsbane in the film, isn’t too wild about that. “Who knows when the f*** that’s gonna come out,” said Williams, as she didn’t bother to mince her words about it. She explained how the film was supposed to go through reshoots in an effort to “make it scarier.” However, the reshoots never actually took place. Williams even asked one of her co-stars, Charlie Heaton, ‘what the f*** is going on with that movie?” But he didn’t have any answers either. Williams is also hopeful that The New Mutants will eventually lead to a crossover with the X-Men films. Her Game of Thrones co-star Turner stars in the forthcoming Dark Phoenix as Jean Grey. Williams wants her Wolfsbane to meet Jean Grey onscreen. “It would be ridiculously stupid if they didn’t do that,” explained Williams. We’ll keep an eye open for August 2, when The New Mutants is supposedly set to hit theaters. What do you think about Williams’ latest comments? 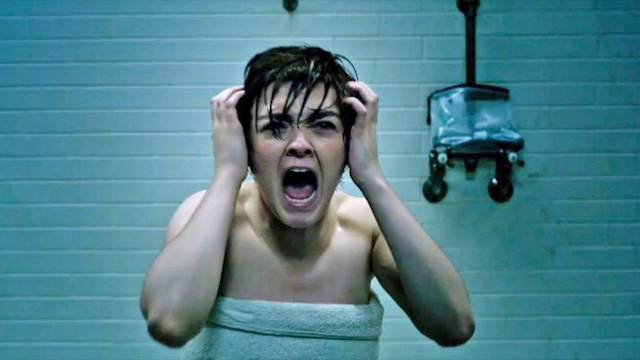 Will The New Mutants make it into theaters? Share your thoughts in the comment section below!